Is your website in need of update and maintenance but you don’t have the time to handle it? Let us help you with our Website Maintenance Services East Perth. 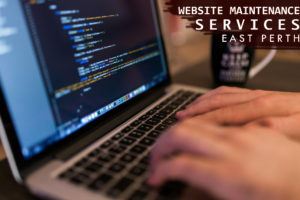 In order to generate more traffic and retain clients, update information about your products and services to your target market, and boost your search engine rankings, you certainly need Website Maintenance Services East Perth. Maintaining website content up-to-date catches the attention of prospective clients and keep them coming back for more. Moreover, fresh and updated content helps with a site’s ranking in the organic search results of the top search engines. Search engine algorithms favour more on a site that is regularly updated than one that hasn’t changed in months or years. New contents like client newsletter, product or services information update, news item, etc. will enhance your keyword- rich and eventually boost your opportunities in the search engines. Even if we did not originally design your website we can still provide a thorough website maintenance services. We are a company that could provide a rapid, and high-quality website maintenance and development services. Google Analytics track and report your web traffic 24/7. This is part of web development services that tells you who visits your website, how long they stay, where they come from, and how they search. Moreover, they report significant response with regards to the efficacy of SEO task for the site. Precisely, Google Analytics notify which search engines provide visitors to your URL and what keywords they are using to find you. This type of reporting helps you pinpoint the most effective paid online advertising campaigns. You can see the number of web traffics deliver to your site from other sites. It gives you a general idea about which part of advertising that you should pay more attention to detail. As shown above, Aleph IT installs web analytics like Google analytics for effective tracking of visitors. Website Maintenance Service is a vital part to any business website and crucial to the overall success of online marketing. A regular maintenance is essential to keep website features and software continuously functioning and working. Here in Aleph IT we use Google’s Webmaster Tools in order to detect the health of your website. It performs update if it is needed to ensure it functions appropriately for customers and accessible for search engine’s spiders. We also handle WordPress Maintenance Services East Perth for those WordPress websites. You can contract our website maintenance base on hourly rate or negotiate on monthly and annual basis. Contact us now regarding to our Website Maintenance Service East Perth. This entry was posted in Aleph IT Services and tagged website maintaining, website maintenance services, website support.